Seeking a good Kodi alternative? Look no further. Our guide of Kodi alternatives shows you the best alternatives to Kodi FAST. Basically, the closest of Kodi alternatives is SPMC. SPMC is a derivative of Kodi, pretty much. Then we have TVMC, which is actually Kodi + TVAddons. 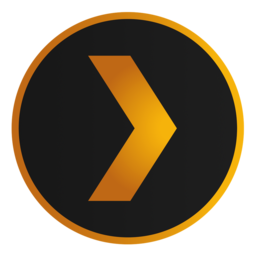 We also have Plex, which is not based on Kodi at all – but is a completely different streaming app/service which accomplishes similar tasks (video streaming, media library, and more). 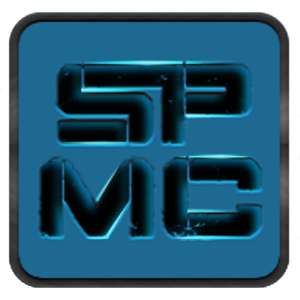 SPMC: The best of all Kodi alternatives. There is at least one good REAL Kodi alternative: SPMC. SPMC uses the same foundation of Kodi, yet has a different appearance and slightly different interface/functionality. SPMC stands for Semper Media Center. Basically, SPMC is the real-deal of any and all Kodi alternatives. So give it a shot. This XBMC-based media center is Kodi’s brother.. or cousin.. or something. So it’s cool by association. Big thanks to Koying for developing SPMC. 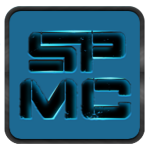 Get SPMC from Google Play, or from the author’s site. SPMC is the best of all Kodi alternatives. TVMC for Android is one of the Kodi alternatives that was supported for awhile on the Google Play Store. But that is no longer true. TVMC is a build of Kodi that has TVaddons pre-installed. Pretty cool, right? Well it seems this is too direct of a route to potentially-illegal streams. So you may be better off trying Kodi and installing TVaddons, or even try installing SPMC and TVAddons! You can download the TVMC for Android APK from the official TVAddons site. TVMC is the easiest of all Kodi alternatives. * Note: Plex is not based on XBMC, but provides some similar functionality. Plex is NOT just another spin-off of Kodi. Plex is a service that provides “premium”-level features (such as cloud media storage). Plex is a great service for uploading your movies so you can access them anytime anywhere. But it doesn’t provide the ability to add amazing TVAddons like we can with Kodi. However, it performs very very well and people love Plex. Download Plex from their official site. Of all Kodi alternatives listed here, Plex is the most legitimate, or “corporate”. There you have it: The best Kodi alternatives. We do have reasonably good alternatives to Kodi. BUT, Kodi is unique in its variety of content. While the Kodi alternatives we have are decent, they don’t really compare to Kodi. Seeing as how SPMC is a spin-off of Kodi, we can’t necessarily consider that it’s own completely seperate platform (this is debatable). But the fact is, there is not system like Kodi that isn’t based on Kodi already. So, Kodi is unique. Yes, there are alternatives. But what else can you use to find an episode of Ren & Stimpy from the 90s AND an episode of Gilligan’s Island from the 60s!? Nothing, really. That’s why Kodi’s the best!